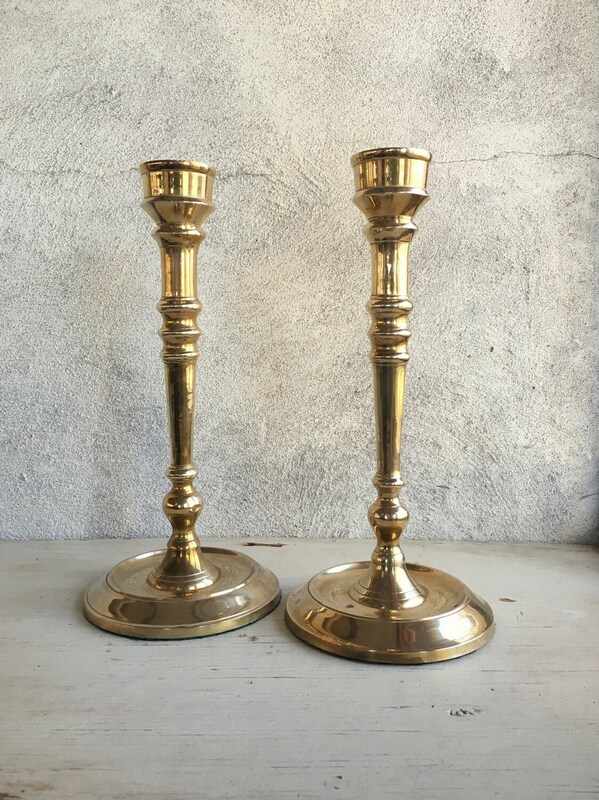 Here we have a lovely pair of foot-tall brass candlestick holders--perfect for so many different types of home, from rustic farm table to elegant holiday lay out. 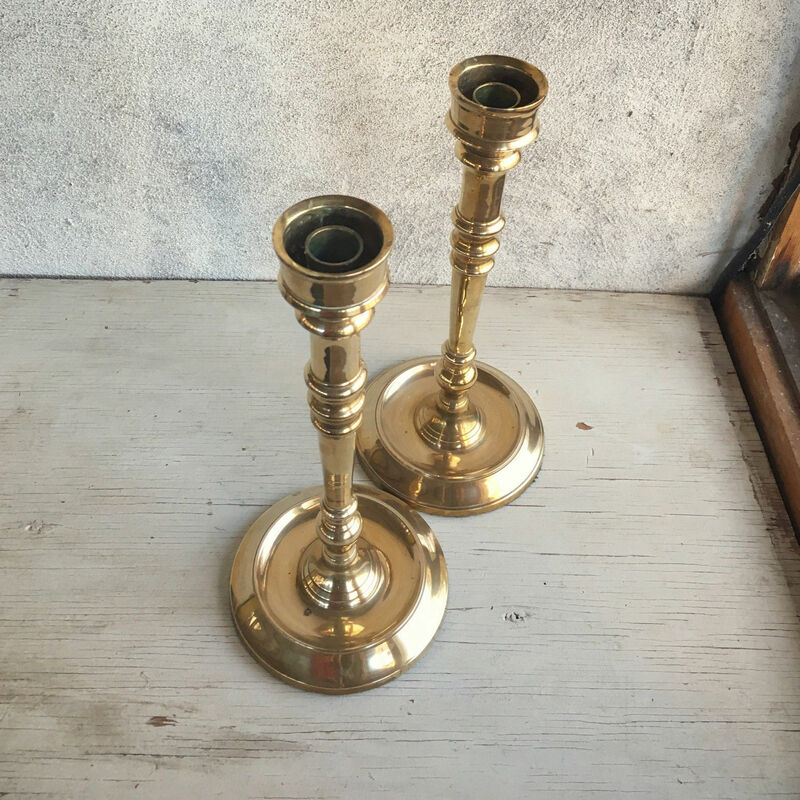 The candleholders were well used and well kept. I did clean them lightly, and there are a few stubborn spots where perhaps wax dripped. 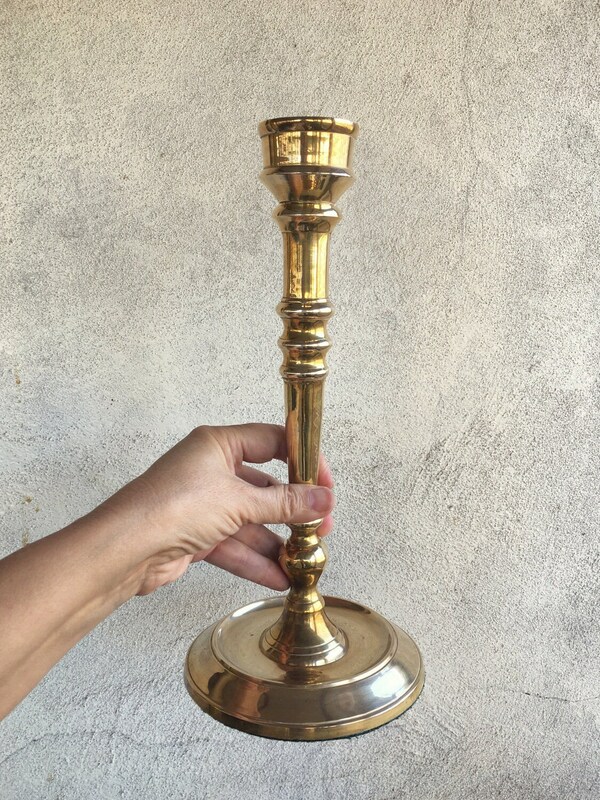 I didn't want to polish any more than what I did. 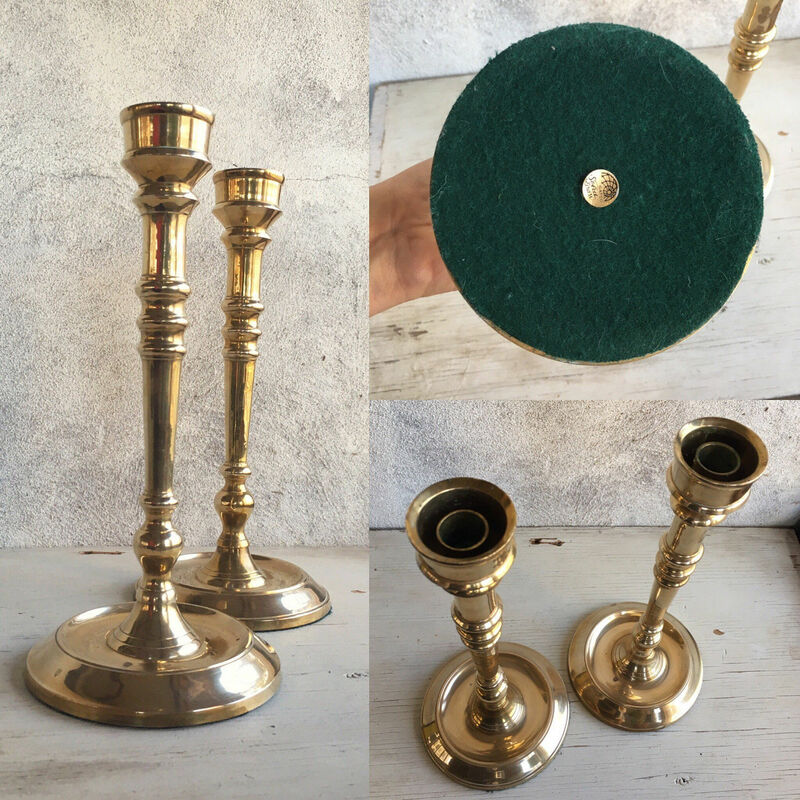 Each candlestick holder has a 5-1/2" diameter base and stands 12" tall with an opening of about 1" for the candle. 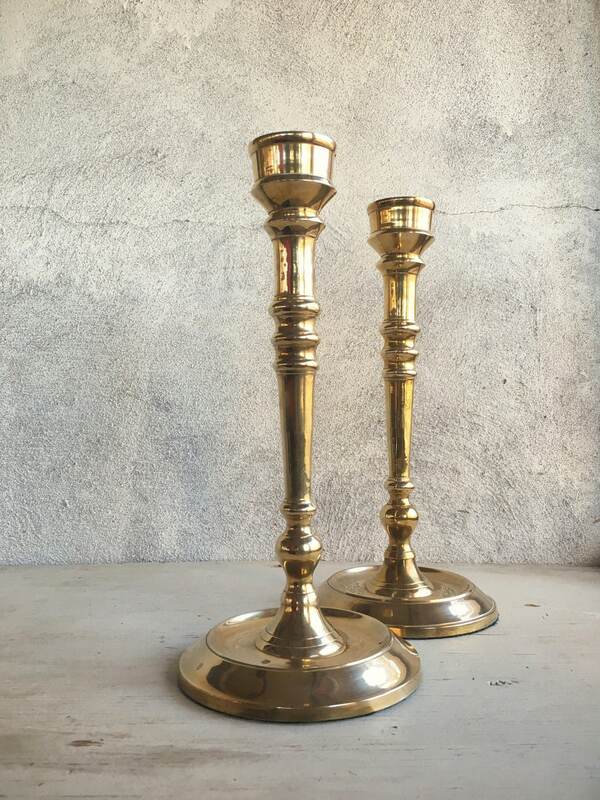 Simple elegance for everyday table or holiday setting.